Many nootropic compounds claim to have positive effects on cognitive performance. In this study, we tested the effects of the nootropic compound CAF+ on cognitive functioning. CAF+ contains a combination of ingredients that has separately shown to boost cognitive performance, including caffeine, l-theanine, vinpocetine, l-tyrosine, and vitamin B6/B12. We examined whether CAF+ would improve cognitive functions in healthy young participants, and whether it would be more effective than caffeine. We used a randomized double-blind placebo-controlled three-way cross-over design to examine the performance of 21 healthy young participants on a test battery aimed to measure memory performance, attention, and sensorimotor speed. Our main outcome measure was participant’s performance on the Verbal Learning Test (VLT). Subjective alertness, heart rate, and blood pressure were also monitored. Participants were tested at 30 and 90 min after treatment. We found that after 90 min, the delayed recall performance on the VLT after caffeine was better than after CAF+ treatment. Further, caffeine, but not CAF+, improved the performance in a working memory task. In a complex choice reaction task caffeine improved the speed of responding. Subjective alertness was increased as a result of CAF+ at 30 min after administration. Only caffeine increased diastolic blood pressure. We conclude that in healthy young students, caffeine improves memory performance and sensorimotor speed, whereas CAF+ does not affect the cognitive performance at the dose tested. An erratum to this article is available at https://doi.org/10.1007/s41465-018-0071-6. Nootropics, also known as smart drugs, are compounds that enhance cognitive performance. There are two types of nootropics: synthetic or natural compounds. While both have been widely researched and can effectively increase functions such as memory and attention, natural nootropics are associated with a safer side-effect profile and are even capable of making the brain healthier (see Suliman et al. 2016). There is quite some experimental evidence demonstrating that the natural ingredient caffeine has positive effects on cognitive functions in healthy volunteers. This has been shown in young (e.g., Hogervorst et al. 1999) as well as old subjects (Lorist et al. 1995). Caffeine is considered to be safe, within a certain dose range, and can easily be administered. Although coffee and caffeine have been found to have beneficial effects (Einöther and Giesbrecht 2013), there is still a further potential to improve cognitive functions. Other natural ingredients have been suggested to have beneficial effects on cognitive functions. One example is vinpocetine (a semisynthetic derivative of the vinca alkaloid vincamine, extracted from the plant Vinca minor), which has been shown to improve memory functions in humans (Subhan and Hindmarch 1985). Vitamins B6 and B12 have also been found to have positive effects on brain functions in healthy subjects (Bryan et al. 2002). Interestingly, the amino acid tyrosine, which is a precursor of dopamine, has been shown to exhibit both cognition-enhancing as well as stress-reducing effects (Banderet and Lieberman 1989; Brady et al. 1980; Deijen and Orlebeke 1994). A similar effect is suggested for l-theanine (Nathan et al. 2006), although its combined effects with caffeine are more extensively researched. L-theanine is well known for its synergistic effects with caffeine, leading to larger improvements in cognition together than alone (Camfield et al. 2014; Einother et al. 2010; Haskell et al. 2008) and eliminates the vasoconstrictive effects of caffeine (Dodd et al. 2015). It should be noted that the study Dodd et al. does not show evidence of a synergistic effect of caffeine and l-theanine on cognition. However, relatively lower doses were used in their study compared to previous studies, which may suggest that the combined effects depend on the dose. It could be suggested that other combinations of natural ingredients may also lead to synergistic effects, as with caffeine and l-theanine. This could be based on the assumption that they work via unique molecular pathways which, when stimulated together, create an additive effect. For example, caffeine is assumed to work via an adenosine mechanism (Einöther and Giesbrecht 2013), whereas vinpocetine has been suggested to act via a phosphodiesterase type 1 mechanism (Filgueiras et al. 2010). Another possibility is that the effects of certain nootropics may improve the efficacy of others. As mentioned, the anti-sympathetic properties of l-theanine may allow caffeine’s arousal-inducing effects to be more potent (Dodd et al. 2015). This can be related to the well-known inverted U-shaped relation between stress/arousal and cognitive performance (Baldi and Bucherelli 2005), in which case, it is possible that the effects of l-theanine place participants more optimally on this curve for the specific task at hand. As l-tyrosine may also exhibit stress-protective effects, combining it with an arousal-inducing nootropic may also improve participant’s efficacy on a cognitive task. Finally, it could be possible that a combination of different nootropics affects entirely different pathways than those that they affect when administrated separately. For these reasons, it would be interesting to combine a number of natural nootropics and investigate their effect on human cognition. Indeed, several natural nootropic blends exist and are available on the market. The main problem with these blends is that the ingredients are often separately known to have cognition-enhancing effects, but regarding their combined effects, the experimental evidence from randomized controlled trials is lacking. With the current study, we tackle part of the problem by investigating one of these nootropic blends. We used a randomized, double-blind, placebo-controlled three-way cross-over design to examine the effects of the natural nootropic blend CAF+ on cognitive markers of memory and attention, and on mood and physiology. CAF+ contains 100 mg caffeine, 200 mg l-theanine, 40 mg vinpocetine, 300 mg l-tyrosine, 1 mg vitamin B12, and 20 mg vitamin B6. These ingredients have different mechanisms of action and a possible additive effect on brain function. In order to evaluate the synergistic effects of this combination of different ingredients in CAF+, we compared the effects with the well-established effects of caffeine. This study is the first randomized controlled trial to examine the effects of CAF+ on cognitive performance in young healthy volunteers. Based on previous research discussed above, we hypothesized that CAF+ would improve cognitive performance more so than caffeine. This could have great potential for treating age-associated memory impairments such as dementia disorders. The primary objective of this experiment was to establish the effects of CAF+ on cognition, especially memory, in healthy adults. As our secondary objective, we have measured performance on other cognitive tasks after CAF+: working memory performance using an n-back task, response inhibition and focused attention using the Stroop, complex scanning and visual tracking using the digit symbol substitution test (DSST), and motor speed using a simple, choice, and incompatible reaction time task. Another secondary objective was to establish that potential performance differences were concomitant with, but not primarily due to mood changes. The Bond and Lader evaluation form was used to measure the subjective state and perceived alertness (McNair et al. 1971). Finally, blood pressure and heart rate were measured to evaluate drug effects on these basic physiological parameters. All experimental procedures were approved by the Medical Ethics Committee of Maastricht University and performed in accordance with the 1975 Declaration of Helsinki, as revised in 2008. Twenty-one healthy participants (10 male, 11 female; mean = 21.7, SD = 3.1, range = 18–31) were included. The participants were recruited from Maastricht University via advertisements. They were screened with a medical questionnaire and a urine hCG level test, to exclude pregnancy. Other criteria which excluded participation in this study were: having a (history of) cardiac, hepatic, renal, pulmonary, neurological, gastrointestinal, hematological, or psychiatric illness. With regard to the psychiatric illness, those volunteers who have suffered from depression, bipolar disorder, anxiety disorder, panic disorder, psychosis, or attention deficit hyperactivity disorder were excluded from participation. Also, those volunteers with a first-degree relative with a psychiatric disorder or a history with a psychiatric disorder were excluded. Other exclusion criteria were excessive drinking (> 20 glasses of alcohol-containing beverages a week), lactation, use of medication other than oral contraceptives, use of recreational drugs from 2 weeks before until the end of the experiment, and any sensory or motor deficits which could reasonably be expected to affect test performance. All participants had to sign an informed consent form before inclusion and received a financial reward for their participation. In this study, a double-blind, placebo-controlled cross-over design was used. Participants were not allowed to drink alcohol 24 h before testing and use caffeine or smoke on the test day. There were three test days on which participants received either a placebo, 100 mg caffeine, or CAF+ (consisting of 100 mg caffeine, 200 mg l-theanine, 40 mg vinpocetine, 300 mg l-tyrosine, 1 mg vitamin B12, and 20 mg vitamin B6). Test days were separated by a wash-out period of at least 7 and at most 14 days. For each test session, participants performed all tasks three times: once without taking a capsule (pre-test), once 30 min after having taking a capsule, and once 90 min after having taken a capsule. In each session of 30 min, a battery of cognitive tasks had to be completed, a questionnaire was taken, and heart rate and blood pressure were measured (see Fig. 1). The battery consisted of an adjusted version of the Rey Auditory Verbal Learning Test (Lezak 1995), an n-back task, the Stroop color-word task, the digit symbol substitution test, and a reaction time task. Verbal memory was assessed using a list of 15 Dutch monosyllabic words of which participants had to remember as many as possible. All words were presented one by one on a computer screen, after which, the participant was asked to name as many words as they could remember from this list. Twenty minutes later, the participant was again requested to recall as many words as possible. Parameters obtained from this task were the number of correctly recalled words immediately after presentation of the list (immediate recall), and the number of correctly recalled words 20 min after presentation of the word list (delayed recall). This task was designed to measure working memory. A sequence of numbers was presented to the participant, and the task consisted of indicating when the presented number matched the one from n steps earlier in the sequence. In this study, we used a 0-back, 1-back, and 2-back task, in which the 0-back was a simple focused attention/speed task and the 1- and 2-back required accessing information from working memory. Parameters obtained from this task were the number of correct responses, i.e., the number of times the participant pressed the button when the number matched the one from n steps earlier and reaction times. The Stroop task induces interference and assesses response inhibition and focused attention. In this task, color names (in Dutch) were printed in colored ink, and participants were asked to name the color of the ink instead of the words themselves. However, the color names and the color of the ink were mostly incongruent to induce interference. The colors used in this task were blue, red, green, and yellow. Parameters obtained from this task were the number of errors made and time to complete the task. This test assessed complex scanning and visual tracking. On the computer screen, a series of nine numbered symbols were shown that represented a “key”. The participant was then presented with a series of parallel boxes that contained a symbol in the top half of the screen and a number in the lower half of the screen. The symbol and number had to be matched to form the key by responding to the number in the lower half of the screen with a mouse click. Parameters obtained from this task were the number of correct responses made within 3 min and reaction times. This task was divided into three parts. In the first part, the participant had to react as soon as a button lighted up in the center of a response box, by pressing that button (simple reaction time). In the second part, one of three possible buttons would light up (choice reaction time). Finally, one of three possible buttons could light up again, but now the button to the right of the lighted up button had to be pressed (inverted choice reaction time). In all three tasks, the participant was instructed to keep a red button pressed before and after pressing the target button. Responses had to be made as quickly as possible. Parameters obtained from all versions of this task were reaction times, calculated as time needed to release the red button, and movement times, calculated as time needed to move from red button to target button. In order to capture the subjective feelings of the participants during the treatment period, we used the Bond and Lader visual analogue scale (Bond and Lader 1974). We used nine items to capture subjective feelings of “alertness”. The blood pressure and heart rate were measured using a calibrated device. This was done before each assessment at baseline, at 30 min, and at 90 min (see Fig. 1 “physiology”). SPSS was used for the data analyses. For all variables, the mean was calculated per treatment condition. However, for reaction and movement times, the median was used for the analyses, since these data were not normally distributed. A repeated measure design was used with within-subject factor treatment (placebo, caffeine, CAF+) and time (30 and 90 min). We also tested for simple effects (treatment effects for each time point separately). A Sidak post-hoc analysis was used to investigate differences between treatment conditions in more detail. We did not include the baseline performance in the analyses because it was found that there were still practice effects, and the data showed various outliers. Since these practice effects interfere with the treatment effects, we skipped these data. All data were tested at a p value of 0.05. No overall treatment effect was found on the immediate recall trials, or at the separate 30 and 90 min time points (all F’s(2,19) < 2.11, p ≥ 0.149). However, on the delayed recall, a significant overall treatment effect was evident (F(2,19) = 5.87, p < 0.010). Analysis of simple effects revealed that there was a significant difference between conditions on delayed recall performance at 90 min (F(2,19) = 4.31, p < 0.029). A post-hoc analysis using Sidak’s procedure (α = 0.05) further revealed that participants remembered on average 2.4 words less when they had been given a CAF+ capsule then when they had been given a capsule-containing caffeine (see Fig. 2). No significant differences were found at 30 mins (F(2,19) = 1.48, n.s.). For all versions of this task, no overall treatment effects were found on the accuracy scores (all F’s(2,19) < 3.17, p ≥ 0.065). Simple effects revealed that a statistically significant existed at 90 min on the 2-back task (F(2,19) = 5.30, p < 0.015). Sidak’s post-hoc analysis (α = 0.05) showed that caffeine improved accuracy scores significantly from 92 to 95%, as presented in Fig. 3. No effects on accuracy scores were found at 30 min for this task (F(2,19) = 1.00, n.s.). The analysis did not reveal reaction times to be significantly affected on any of the task conditions (all F’s < 3.05, p ≥ 0.071). An overall treatment effect was shown on accuracy scores (F(2,19) = 4.31, p < 0.029). However, the analysis of different time points did not reveal statistically significant effects at 30 min (F(2,19) = 0.25, n.s.) or 90 min (F(2,19) = 0.37, n.s.). There were also no significant effects found on time to complete this task (all F’s < 0.61, p ≥ 0.555). The overall treatment and time point analyses did not reveal significant effects of placebo, caffeine, or CAF+ on accuracy scores (all F’s < 0.93, p ≥ 0.411), number of correct answers (all F’s < 0.81, p ≥ 0.462), or reaction times (all F’s < 0.90, p ≥ 0.425). It was found that on the choice and incompatible choice reaction time tasks, there was an overall treatment effect on participant’s movement times, which is the time needed to move from red button to target button (choice (F(2,19) = 7.58, p < 0.004)); incompatible choice (F(2,19) = 6.74, p < 0.006)). Analysis of simple effects showed that on both tasks, this difference was significant between the caffeine and CAF+ condition at 90 min (choice (F(2,19) = 11.19, p < 0.001); incompatible choice (F(2,19) = 9.29, p < 0.002), with caffeine speeding up participant’s movement times after intake. On the incompatible choice reaction time task, caffeine also decreased movement times compared to the placebo condition (F(2,19) = 9.29, p < 0.002; see Fig. 4). No significant differences in movement times were found 30 min after intake on any of the tasks (all F’s < 2.59, p ≥ 0.101). Regarding reaction times, no significant treatment or time effects were found on any of the tasks (all F’s < 2.15, p ≥ 0.144). The analysis did not show an overall treatment effect (F(2,19) = 2.25, n.s. ), but when analyzed per time point, it was revealed that participants reported to be more alert with CAF+ than with placebo after 30 min (F(2,19) = 4.37, p < 0.027), see Fig. 5. Alertness was not found to be affected 90 min after treatment (F(2,19) = 1.86, n.s.). No treatment or time effects were found on participant’s heart rate (all F’s < 0.79, p ≥ 0.469) or systolic blood pressure (all F’s < 1.53, p ≥ 0.242). Diastolic blood pressure was found to be significantly affected by treatment (F(2,19) = 8.06, p < 0.003). Analysis of simple effects showed that participant’s diastolic blood pressure was higher after caffeine compared to placebo 90 min after intake (F(2,19) = 5.81, p < 0.011), but not after 30 min (F(2,19) = 3.03, n.s. ; see Fig. 6). In this study, we examined the acute effects of CAF+ and caffeine on different cognitive functions. This was done in a double-blind placebo-controlled randomized cross-over design. We found that caffeine improved working memory performance in the n-back task at the most difficult level and outperformed CAF+ treatment on the delayed verbal memory task. Further, caffeine increased the speed of responding in the incompatible reaction time task. On a physiological level, caffeine increased the diastolic blood pressure whereas CAF+ did not have an effect on blood pressure. Interestingly, CAF+ increased subjective alertness. Based on these data, it is concluded that caffeine improved cognitive performance and that CAF+ did not. It is well known that caffeine has various effects on cognitive functions. This was replicated in the current study and further supports this well-documented effect. The hypothesis of the current study was that CAF+ would have stronger effects than caffeine alone. This hypothesis could not be confirmed; CAF+ did not have an effect on the cognitive performance. In the verbal memory task, we found that the performance after CAF+ treatment was worse compared to the caffeine treatment. Also, in the reaction time task, CAF+ treatment was associated with slower response times as compared to caffeine. These data indicate clearly that CAF+ does not improve cognitive functions in young healthy volunteers at the dose used. However, it could be speculated that chronic treatment with CAF+ may have positive effects. The dose used for the caffeine capsule (100 mg) is in the range of the reported cognition-enhancing effects (McLellan et al. 2016). The same dose was used for the CAF+ formulation. CAF+ also contains other ingredients that may boost the brain systems that increase the improved cognitive performance in young subjects. It could be argued that the combination of the extra ingredients in addition to the caffeine may constitute a dose that is too high to have beneficial effects on cognition and would have placed participants non-optimally on the inverted-U curve of stress/arousal, leading to less than optimal performance on the tasks. However, CAF+ includes ingredients that both promote and reduce arousing drive, as discussed in the introduction. It is not likely, for this reason, that the addition of the ingredients in CAF+ necessarily causes a shift to the right on the on the inverted-U curve. Similarly, it has been shown in young and healthy students that the effects of caffeine only benefited memory during participant’s non-optimal phase (Sherman et al. 2016). In the current study, it may have been the case that the possible de-arousing effects of l-theanine and l-tyrosine in CAF+ did not sufficiently place participants in their non-optimal phase in order for the arousal-promoting ingredients to benefit task performance. Additionally, the inverted-U may be shifted for different tasks (Salehi et al. 2010). The tasks in this study were performed sitting quietly, with no accessory motions. It should be considered whether the CAF+ dose can be optimally developed for such tasks, which have limited to no stress component. Finally, ingredients may have a different pharmacological profile when added together than when administered alone. For example, it has repeatedly been shown that caffeine and l-theanine added together have different effects on cognition and mood, leading to cognitive benefits not seen when administered alone (Camfield et al. 2014; Einother et al. 2010; Haskell et al. 2008). More research is needed to look into the mechanisms underlying such effects. Since our participants were young and healthy, it may have been the case that they performed at their maximum level already, leaving little room for improvement. On the other hand, it may reasonably be expected that a cognition enhancer would also be able to improve cognition in such a population. This was demonstrated in two studies examining the effects of the cognitive enhancer methylphenidate in healthy young volunteers: methylphenidate was found to decrease response times and improve episodic memory in one study (Linssen et al. 2014) and to improve declarative memory, attention, and response inhibition in another study (Linssen et al. 2012). We did find some effects of caffeine, although it must be mentioned that absolute differences were relatively small. Further studies could explore the effects of CAF+ in older participants (> 40 years old), who generally perform less well in the current tasks when compared to their younger counterparts. It is interesting to note that CAF+ had effects on a subjective measure of alertness. Participants reported to be more alert with CAF+ as compared to the placebo treatment, but only 30 min after intake of the capsule. A comparable study by Giesbrecht et al. (2010) looked at the combination of caffeine and l-theanine on cognition and subjective alertness in young adults. They found that attention switching improved but performance on the other cognitive tasks did not, while subjective alertness was increased overall. Similar to our results, no differences in heart rate were found, ruling out the influence of this factor on the feelings of alertness. 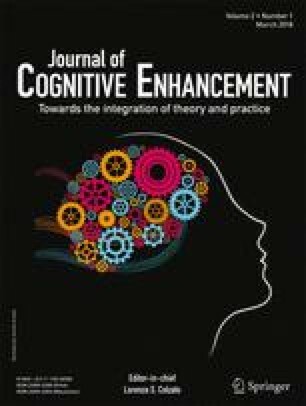 It could be argued that the combination of caffeine and l-theanine helps focus attention, but not enough to show improved performance in a majority of cognitive tasks. Additionally, our findings suggest that the (subjective) effects of CAF+ appear quite quickly and disappear after 90 min, which was not the case in the aforementioned study. As the dose of caffeine and l-theanine in CAF+ is higher than the dose of these ingredients in the study by Giesbrecht et al. (40 mg vs 100 mg caffeine; 97 mg vs 200 mg l-theanine), the possibility of an inverted-U dose-response relationship may also exist for subjective alertness. In other studies that use combined ingredients with a higher dose of caffeine, such as Red Bull Energy Drink, results differ. Red Bull contains 80 mg of caffeine, and among other ingredients, vitamin B6 and B12. Wesnes et al. (2017) found that in a similar population of young volunteers, Red Bull improved cognition and subjective alertness. However, alertness was not improved by the sugar-free version of the drink. On the other hand, Kammerer et al. (2014) did not find improvements in cognition, although self-reported alertness was not measured here. Finally, this study also shows that caffeine intake exerts some effects on physiological measures. An increased (diastolic) blood pressure is a well-known effect of caffeine, which tends to peak in 1–2 h after intake (Mort and Kruse 2008), as the current study’s findings also show. Interestingly, treatment with CAF+ did not result in a blood pressure increase or at least mitigated the blood pressure increase due to caffeine alone. This is in line with previous research (Dodd et al. 2015), and suggests that the additional ingredients of CAF+ may act against the arousing influence of caffeine. Another well-known effect of caffeine is its ability to increase alertness (Mikalsen et al. 2001). While we were not able to find a statistically reliable effect of caffeine on alertness, the mean values on the alertness scale were higher after caffeine treatment (30 and 90 min) than after placebo treatment. Furthermore, alertness was measured subjectively by means of a questionnaire here, forming only an indirect indication of participant’s alertness level. In conclusion, the current study did not show a positive effect of CAF+ on cognitive functions. Future research should focus on including more complex and/or stressful tasks or investigating stress-induced cognitive deficits. Additionally, the dose of the different ingredients could be adjusted, and inclusion of older participants may be another approach to explore the potential cognition-enhancing effects of CAF+ or other combinations of nootropic ingredients. This research was sponsored by Nootrobox (https://hvmn.com/nootrobox) and was conducted at the Department of Neuropsychology and Psychopharmacology at the Faculty of Psychology and Neuroscience of Maastricht University in the Netherlands.